This is a cracker. At a height of 1388 feet with 780 feet of climbing this is the second biggest hill on the Badass, and some might say it’s the hardest. Having avoided being T-boned by a loony mountain biker on Stocks Reservoir Bridge, you thread your way through Gisburn Forest up over School Lane and down into the steep-sided river valley just beyond. As you skitter precipitously down into the dip you see a thin, grey ribbon of tarmac rising straight up the other side…..no twists, no turns, no slackening of gradient. It just goes straight up and out of sight. That must be a farm track. Where’s the road? Nope. That’s the road. Gulp! Hammer down Badass. You just hit the death zone. We hope you ate enough at the first feed stop and scoffed a gel as you turned right to Gisburn, because you’re sure as hell gonna need the glucose over the next 10 miles. But remember, the BK packs a lovely surprise. Once you get over the cattle grid at the top of the steep it levels out and you sweep to the top through beautiful views with the fizz and pop of aerobic respiration quickly replacing the lactate burn. Admit it. You’re on fire! Stravasaddoinfopoint: Keasden Road Climb is the relevant segment, and some pretty quick times were set by our 2012 Badasses here (http://app.strava.com/segments/953273). Can you do any better this year? Do you want to? 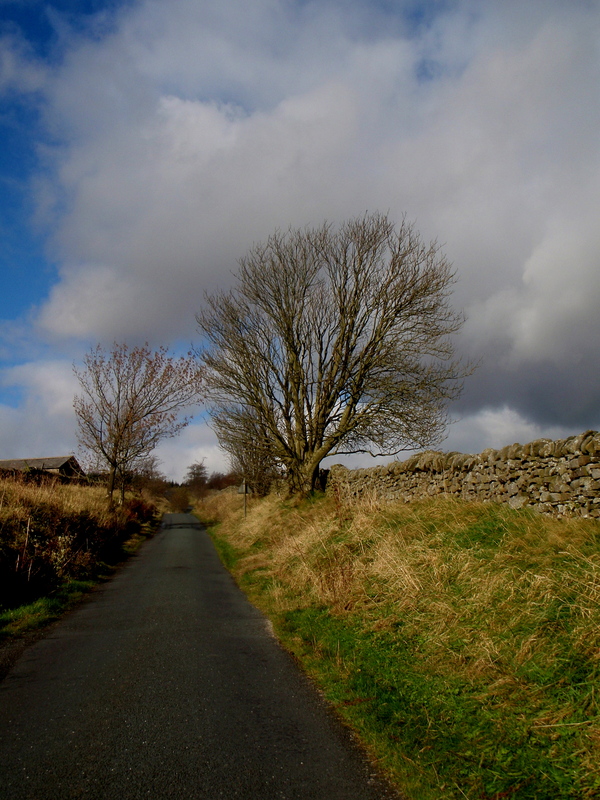 Posted on March 19, 2013, in Bowland Badass Climbs and tagged Bowland Badass, Bowland Forest, Bowland hills, Bowland Knotts, Climbs, Cycling, Garmin, Garstang, Route, segment, Strava, Trough of Bowland. Bookmark the permalink. Leave a comment.